Focus was created for the exhibition Earlids at Parsons the new School for Design. The exhibition was curated by a group called the Sound Research Group, a cross disciplinary collection of faculty at the New School, of which I am a member. You can see the exhibition website here. This video responds to the theme of the exhibition — Earlids. What enables us to focus on listening? And when we DO focus, what do we hear? In this case the act of planting four mute speakers in the snow, a neutral ground, provides an opportunity to capture sound in three ways. First, this simple gesture focused my own attention as an observer on these objects, connecting my senses to the world of noise around me: the melting snow, the birds, the drone of the exhaust fan from the Thai restaurant. In this case the object is irrelevant, it could have been a hair dryer or a rock, and it would have had the same effect: a narrowing of attention in one perceptual sense that then opened the door for a greater attention in another. The microphone alters listening. The mere comparison between how our ears listen and how the microphone picks up sounds in the environment, brings alerted awareness to the soundscape. We are often reminded that we are a culture of spectacle. If we privilege our eyes, what does it mean to return our attention to our ears and listening? As Schafer and many others have argued, our ears open us to the world. Our species once depended on the openness of the ear to shape understanding; the survival of our earliest forebears may have depended on a keen attention to the snaps, scrapes and echoes that surrounded them as signals of imminent danger. As long as there have been sensate ears to hear it, sound has been leveraged as a tool to create community, to maintain power, to please, and to punish, but have we begun to lose our appreciation for the potency of this sense that sits in the shadow of vision? How can listening and the openness of the ear help us to think through interdisciplinary work in art, philosophy, media and beyond? 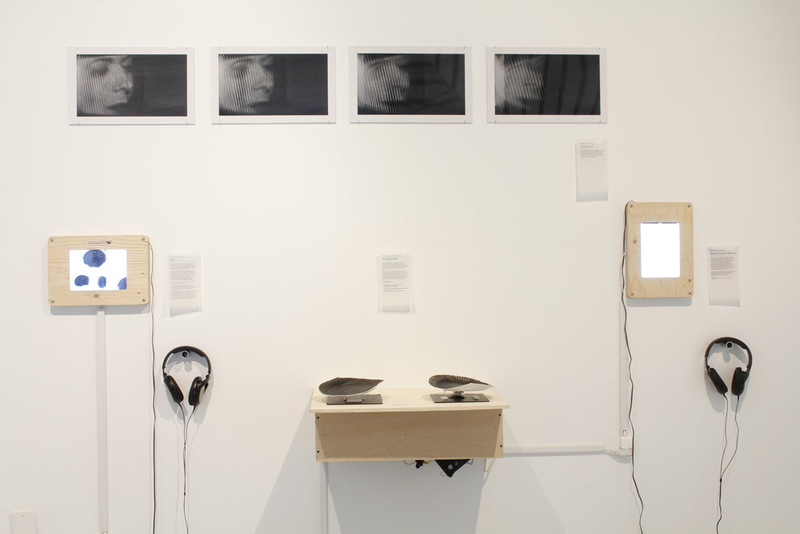 In the exhibition Earlids, the research group Sound@Newschool draws attention to some of the many manifestations of sound within our own university including performance, radio documentary, sound and image, interactive installations, community-based podcasting, video, and sound art. Earlids seeks to engage the following questions: How can sound be used as a vehicle to transport meaning across different disciplines? How might a focus on our methods of listening to, generating, and studying sound, provide a feedback mechanism for shared dialogue? How might sound act as a transdisciplinary hub within the New School?